Great Arizona Puppet Theater is a non-profit professional puppet theater founded in 1983 as a touring company. This year, we are celebrating the 30th year of having our historic building open to the public. The theater performs shows at our historic venue five days a week, year-round. We also tour entertaining and educational shows throughout the Valley. We serve a total audience of 85,000 annually, mostly children. We are a 501(c)3 charitable organization. Please click the button to the left if you would like to make a one-time or a monthly donation through PayPal. Great Arizona Puppet Theater accepts gifts of appreciated stock. Please contact us if you would like to make a legacy contribution to the theater such as a gift of estate, a bequest, or naming rights at our long-standing theater. The Great Arizona Puppet Theater appreciates your continued support and now you can help us even more just by shopping and searching online. Everytime you use Goodshop's online deals, like Michael's coupons and Groupon promos we will receive an automatic donation based on what you spent. It doesn't get much better than that! Start shopping with Goodshop now. You can also use Amazon Smile to support GAPT. Use the link below to choose us as your Amazon Smile non-profit! The Great Arizona Puppet Theater wishes to thank the following donors for their support. 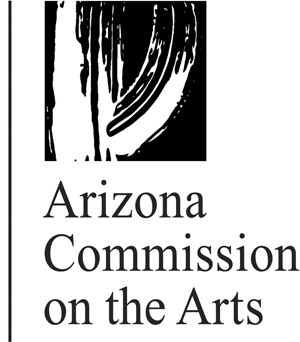 Arizona Commission on the Arts The mission of the Arizona Commission on the Arts is "An Arizona where people broaden, deepen and diversify their engagement with the arts, As creators, audiences and supporters, In ways that are satisfying and integral to their lives." Phoenix Office of Arts and Culture The Phoenix Office of Arts and Culture was established in 1985 by the Phoenix City Council to advance the growth and development of the city's arts and cultural community. The Office of Arts and Culture manages the city's public art program, administers a grants program, supports arts education, conducts research, provides information and assistance to artists and cultural organizations, and oversees the city's cultural planning efforts. The Office of Arts and Culture works with other city departments that manage cultural facilities and programs. Collectively, these efforts result in a broad range of artistic and cultural opportunities for Phoenix residents and visitors. Peter G. & Elizabeth Torosian Foundation The Peter G. & Elizabeth Torosian Foundation benefits the arts and culture in Arizona and Kansas City. National Endowment for the Arts The National Endowment for the Arts is a public agency dedicated to supporting excellence in the arts, both new and established; bringing the arts to all Americans; and providing leadership in arts education. Established by Congress in 1965 as an independent agency of the federal government, the Endowment is the nation's largest annual funder of the arts, bringing great art to all 50 states, including rural areas, inner cities, and military bases. Western States Art Federation WESTAF, the Western States Arts Federation, is a nonprofit arts service organization dedicated to the creative advancement and preservation of the arts. Based in Denver, Colorado, WESTAF fulfills its mission to strengthen the financial, organizational and policy infrastructure of the arts by providing innovative programs and services to artists and arts organizations in the West and nationwide. Heather Henson Foundation Heather Henson is a cool lady who supports the puppet arts in both the theater and on film. She created a company called Ibex that creates original theatrical productions, hosts the Orlando Puppet Festival, the Hand Made Puppet Dreams film series, and the Puppet Slam Network. Puppeteers of America Puppeteers of America, a national nonprofit organization founded in 1937, provides information, encourages performances, and builds a community of people who love puppet theatre. American Express Foundation Here's the AMEX Foundation mission statement, "The mission of our program is to bring to life the American Express value of good corporate citizenship by supporting diverse communities in ways that enhance the company's reputation with employees, customers, business partners and other stakeholders. We do this by supporting visionary not-for-profit organizations that are: Preserving and enriching our diverse cultural heritage, Developing new leaders for tomorrow, Encouraging community service where our employees and customers live and work"